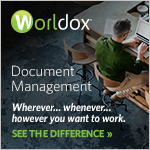 World Software Corporation, the makers of Worldox®, and WindTalker, Inc. today announced a new Strategic Integration Partnership that delivers content security capabilities to lawyers, legal professionals, and law firms. The integration will enhance security and privacy while ensuring that sensitive and privileged content in the Worldox Document Management Suite is safely redacted and protected. Worldox and WindTalker will demonstrate their joint capabilities at the ALA Annual Conference in Grapevine, Texas April 14-17, 2019. WindTalker’s unique capability to simultaneously classify, encrypt, redact, and track sensitive content in documents reducing the need to parse and manage multiple documents to protect sensitive information from unauthorized recipients or unauthorized disclosure. By applying protection inside the document, WindTalker can support multi-level classifications and provide access to different audiences, which is the definition of “Differential Sharing.” Once the content is protected, it remains so throughout the document’s entire lifecycle until it is either declassified or destroyed. 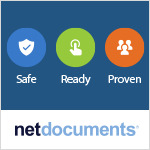 Founded in 1988 and based in Glen Rock, New Jersey, World Software Corporation® is an innovative leader in the Document Management Systems (DMS) category. The company’s flagship product Worldox has an install base of 5000+ companies in 50 countries. For more information about World Software Corporation and its products, please visit us at www.worldox.com. Follow us on Facebook or Twitter. World Software Corporation® and Worldox® are registered trademarks of World Software Corporation.